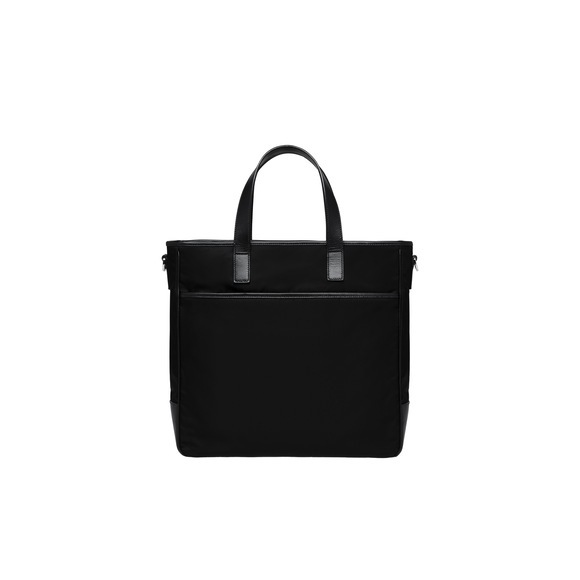 A nylon tote with a Saffiano leather trimmed pocket. 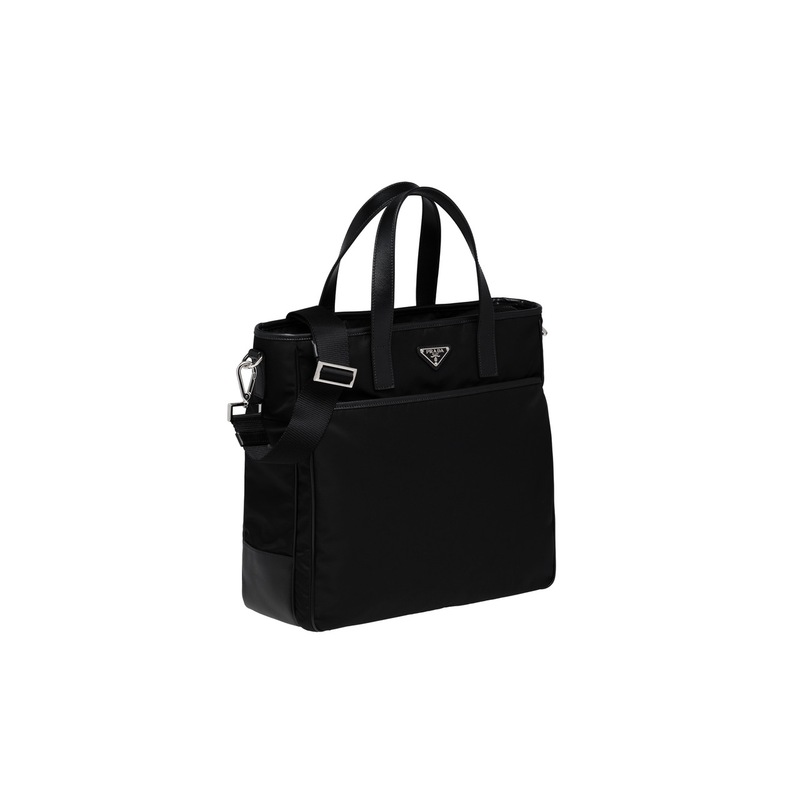 Detailing includes the Prada logo, polished steel hardware and logo lining. 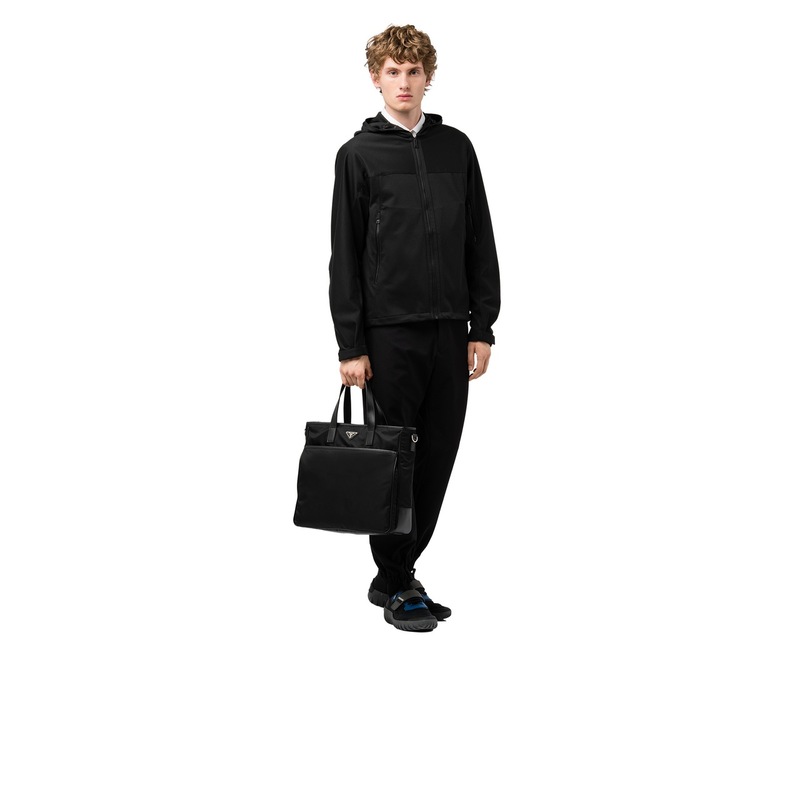 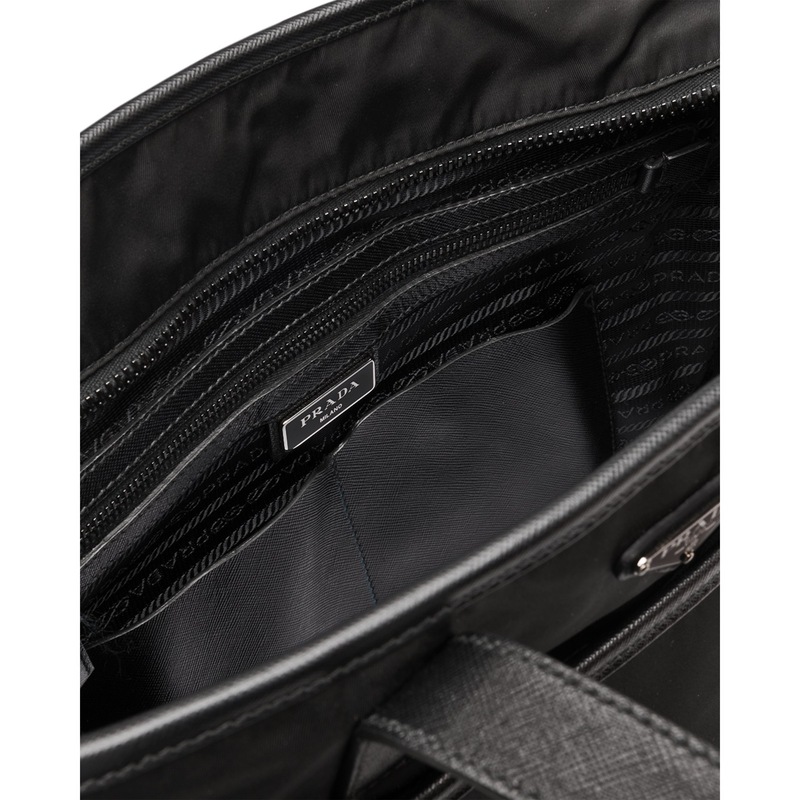 The detachable strap and compartment organized for professional use lend practicality.